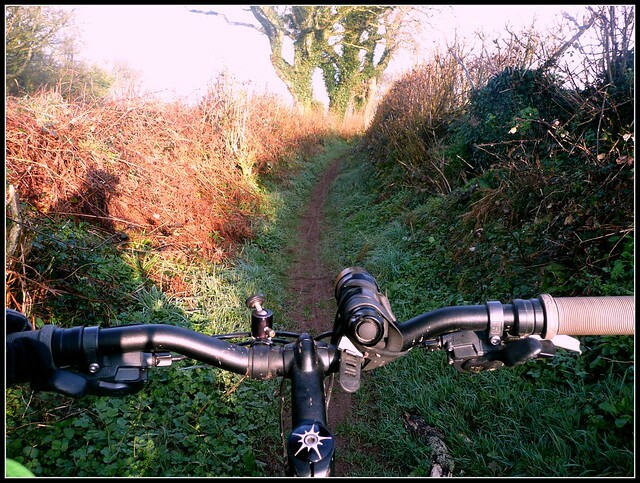 Those of us who like exploring the countryside beyond purpose-built mountain bike trails have known for a long time about the UK’s bridleway and byway network, and how fun it can be to ride. Areas like the Brecon Beacons, the Long Mynd, the Peaks and the Lake District are legendary destinations for mountain bikers because of their bridleway networks, and while the riding around Bristol and Bath might not be quite as well-known, we have our own gems within riding distance of both cities. 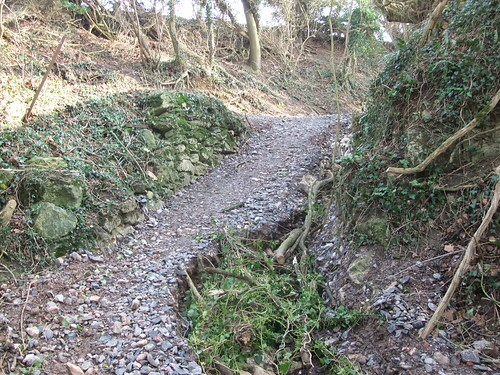 This could all be under threat, thanks to the worrying trend for local authorities to carry out quick repairs to paths which rob them of all their character and riding interest. The latest casualty is the top section of Blue Pig, near Hebden Bridge, the track that gave its name to the popular Ragley bikes model. 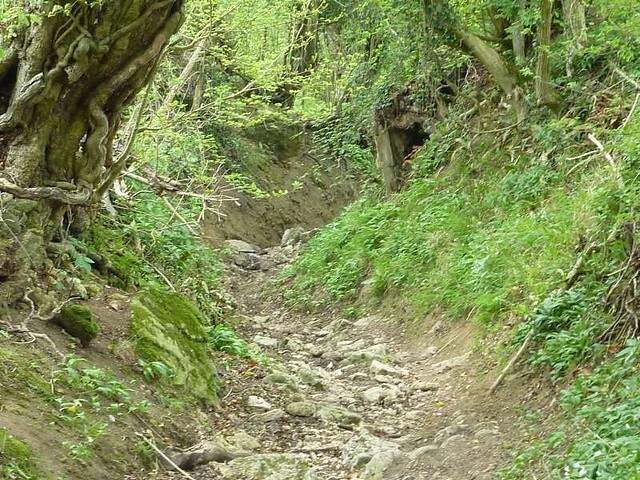 The rocky delights of Pipehouse Lane near Bath (pictured below) were buried in type 1 aggregate last year, prompting outrage from local riders, and the legendary Gap Route in the Brecon Beacons has also received the smoothing treatment, covering over the trademark rock steps which used to draw mountain bikers from across the UK. There are plenty more examples of heavy-handed repairs here, if you’re inclined. There are a variety of reasons why local councils are flattening tracks in this way, ranging from concerns over liability to complaints from particular user groups that the path is too rough to use. Councils are legally obliged to keep rights of way in passable condition for foot and pedestrian traffic, so there can be pressure on them to repair routes which look worse than they actually are. Sometimes paths can be smoothed over for almost no reason at all. In the case of Pipehouse, no complaints were received, but the local Parish Council drew attention to what they saw as the poor state of the track, and no conflicting opinions were heard. With a lack of other work scheduled for that year, the remaining annual budget was spent filling in and grading a classic mountain bike and trail riding route. As just one of the groups of people using rights of way, shouldn’t we just grin and bear it? Well, this is about more than just a few individuals having fun. With legal, natural trails that are fun to ride so scarce in England and Wales, there’s a big knock-on effect. 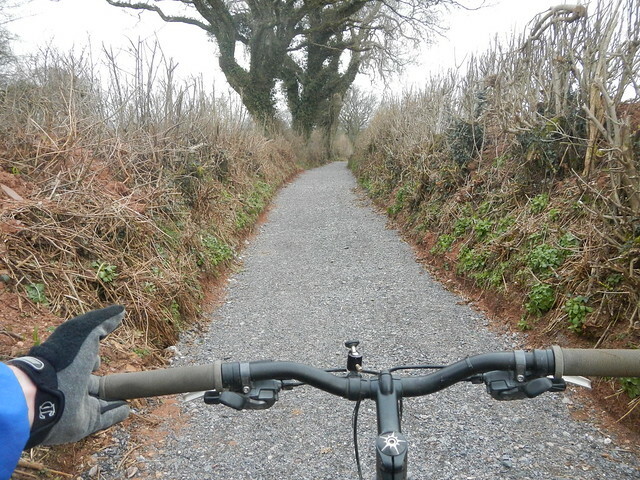 If you want to ride your bike off road, only a small proportion of England and Wales’s rights of way network is legally open to you, and an even smaller proportion is practical to include in a mountain bike ride. Our RoW system is fragmented, with many routes hardly ever being used because they fall off the beaten track, go nowhere, or require long sections of road to connect. Still more routes hold no interest for bikers, either because they’re not exciting to ride or resemble a First World War battlefield. Waterlogged muddy paths are no fun at all for most users, whereas a solid surface is generally welcome, however rough. The lack of fun, accessible routes means that some tracks are disproportionately important within the off road cycling community, and any alterations made to them are keenly felt. For routes in Wales, that could mean fewer riders visiting the area, staying the night and putting money into the local economy. I’ve not been back to ride the Gap Road since I heard about it being smoothed over – that rocky descent was a big part of the appeal. Locally, it could mean fewer people engaging with the countryside, outside a handful of honeypot locations like Leigh Woods and Ashton Court. The other reason for the scepticism over this type of work is the way in which it’s often carried out. Repairs are often done with a bulldozer levelling off the old track, and small grade stone being tipped on top. It’s cheap, it doesn’t require specialist knowledge, and it’s an easy way of using up a couple of tens of thousands left in that year’s budget. The durability of this work is often measured in years rather than decades, and in the “after” photo above you can see how the stone is washing away after just a few months. So in the long term, it’s a poor use of money. There’s another reason to feel uneasy about these repairs. Paths are an important part of the history of the countryside. After their initial beginnings they are shaped by water, roots, feet and hooves into something approaching a record of the years. Burying all this under aggregate and Terram landscaping fabric robs paths of their character and makes them dull for everyone. What can we do? Legally, there’s no obligation on authorities to keep paths rough, or to preserve their character. Getting involved in Rights of Way decisions is also a protracted process, involving research, dedication, and attendance at lengthy meetings held when most of us are at work. Fix the stuff like this first, please. The answer lies with the bits of the RoW network that we don’t currently ride, or avoid in all but the best weather: the boggy, mud filled slogs that aren’t loved by any user, but connect up parts of our off-road network. We need to draw these to the attention of local authorities and make sure that these are what receive the scarce maintenance budget, not the well-loved routes that we go out of our way to ride. You can report poorly maintained rights of way more easily than ever before, thanks to the internet, and websites and smartphone apps like Fix My Street. If you ride natural trails regularly, use these resources, put pressure on local authorities to fix the terrible stuff, and you’ll drastically reduce the odds of them wrecking something good.